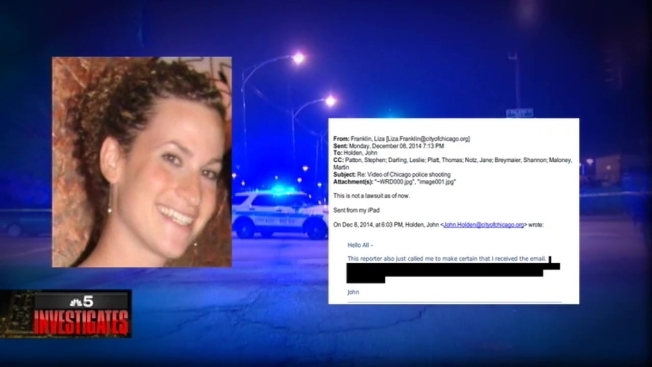 E-mails obtained by NBC Chicago through a Freedom of Information Act request show the City Hall press office was made aware of the possibility of a Laquan McDonald dash cam video on Dec. 8, 2014, two months after the teen was shot 16 times by a Chicago police officer. Meanwhile, State Representative LaShawn Ford, a Chicago Democrat, filed a bill on Wednesday in Springfield to allow for the recall of Emanuel. House Bill 4356 would set up the mechanism to initiate a recall election. If passed by both House and Senate and signed by the Governor, a recall election could occur if supported by at least two alderman and the signatures of 85,000 registered voters. Ford, who represents the Austin neighborhood, said Emanuel should be held accountable, if he doesn’t move the city forward as he has promised. He believes the bill will pass despite the mayor’s powerful Springfield allies, including Senate President John Cullerton and House Speaker Michael Madigan. “It’s about doing what the people have asked me to do,” Ford said. The House is not due back in session until early January. Emanuel’s administration has faced intensifying criticism over its handling of police misconduct. Protesters filled downtown streets and block traffic Wednesday with calls for the mayor to step down after he publicly apologized for the death of McDonald and criticized what he called decades of police corruption in an address to Chicago's City Council. Acting Chief Administrator for the Independent Police Review Authority Sharon Fairley has asked the Office of the Inspector General to launch its own probe into the McDonald case.